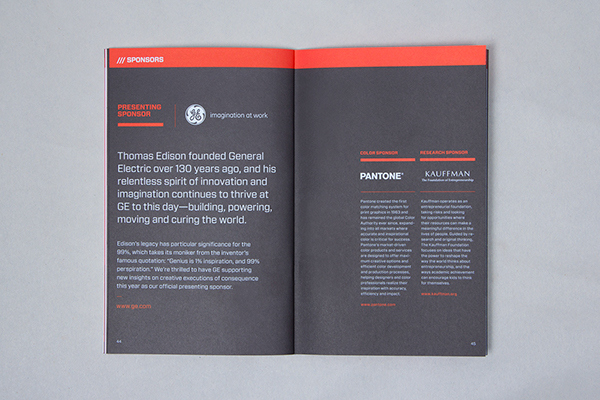 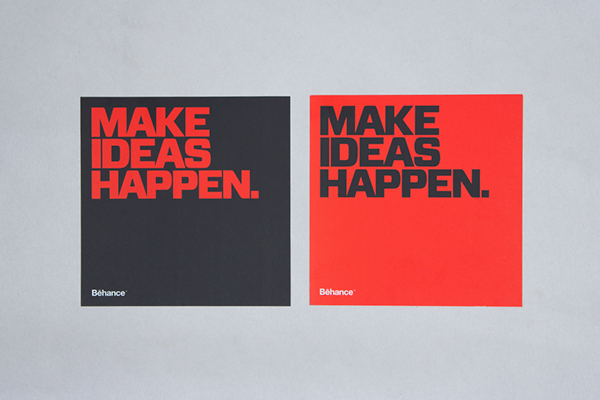 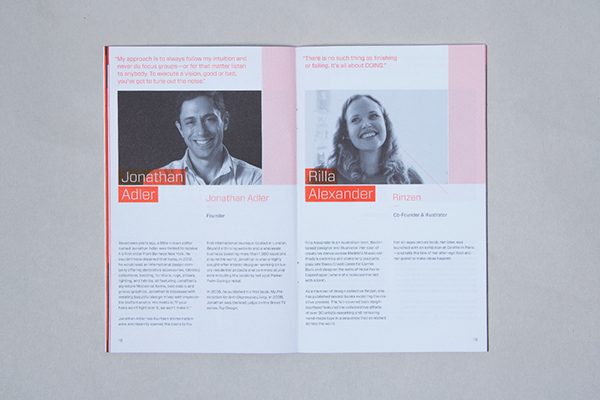 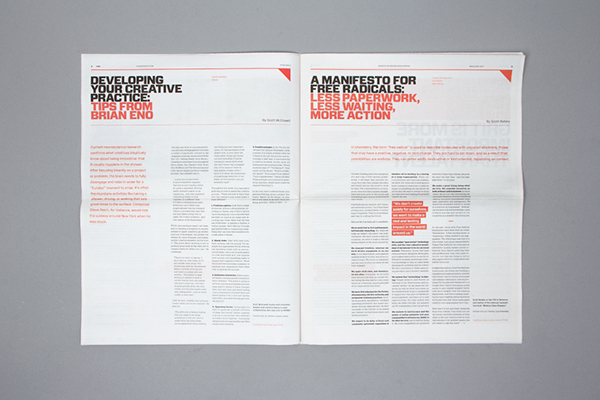 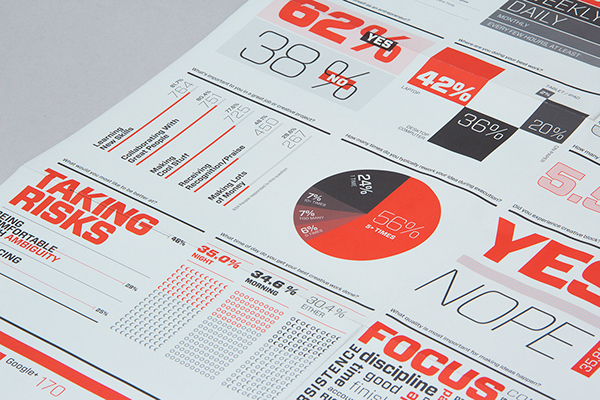 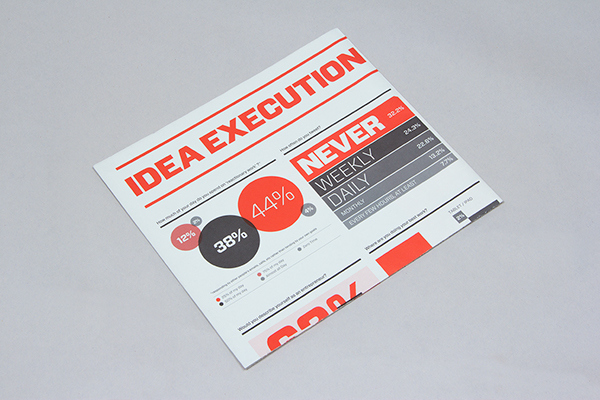 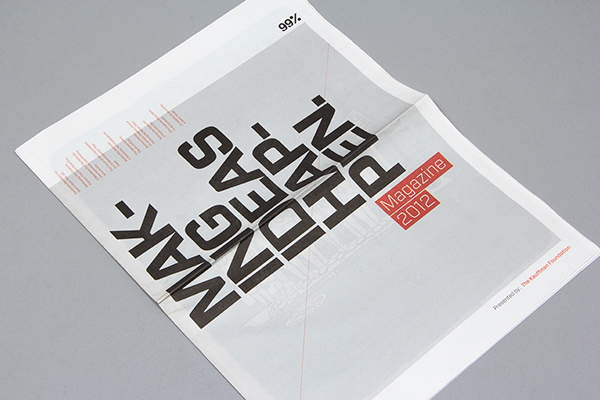 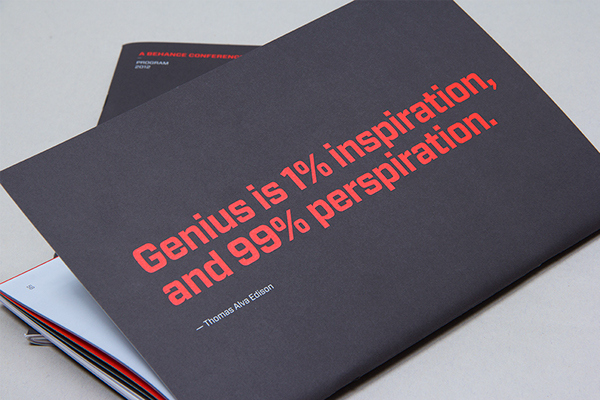 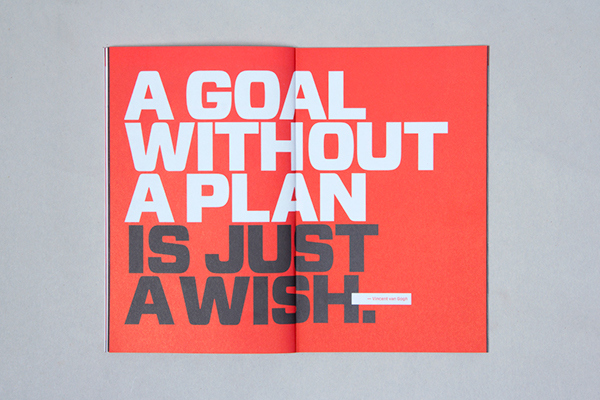 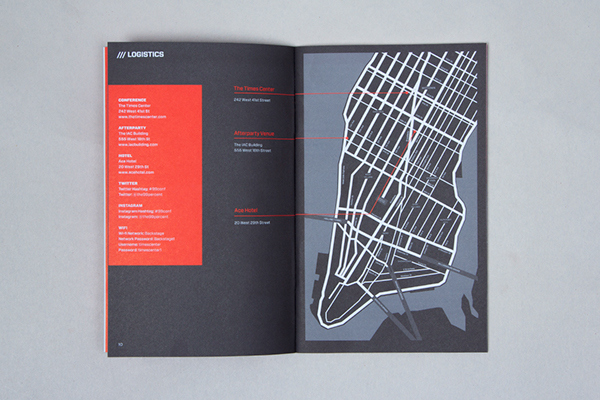 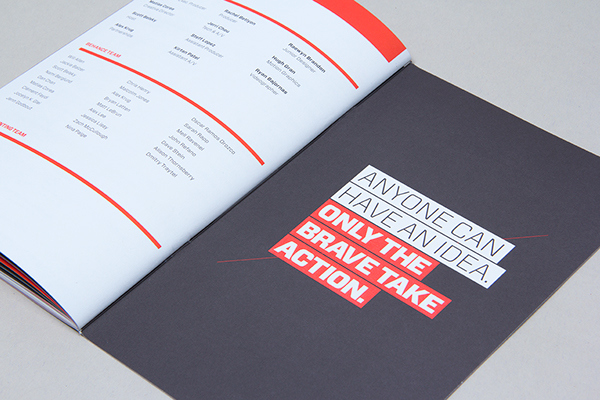 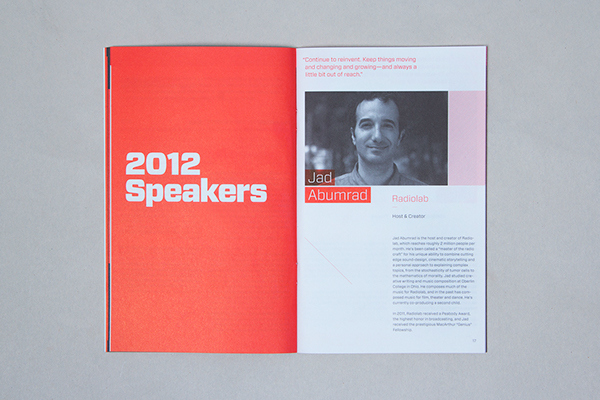 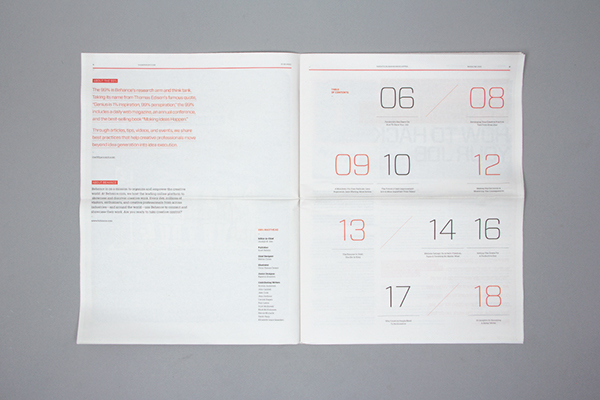 All of the 99% Conference materials get re-imagined and re-designed by the Behance Team every year, and 2012 was no different. 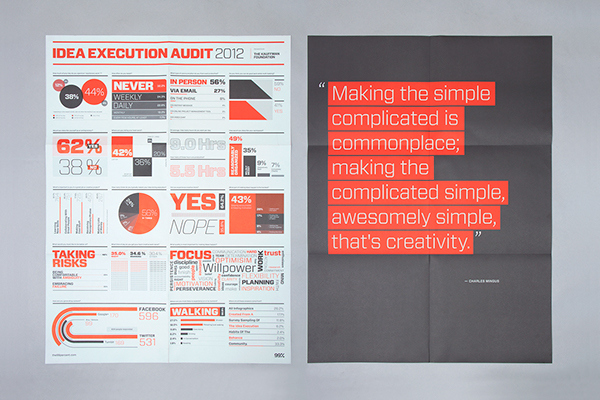 For our annual Idea Execution Audit, we survey the 99% community and conference attendees about HOW they're making ideas happen -- and then transform the answers into a gorgeous infographic and poster. 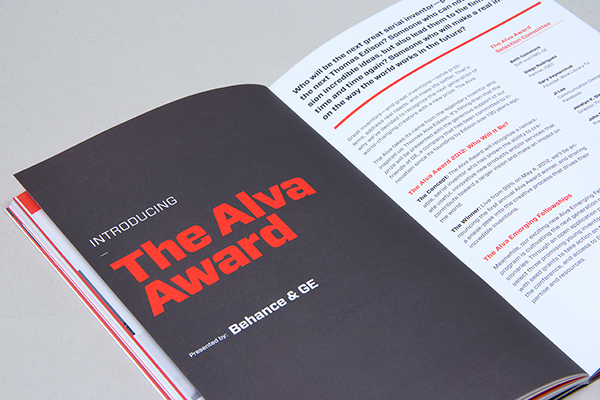 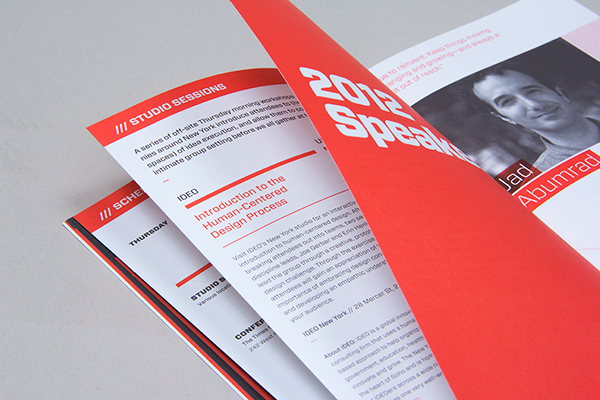 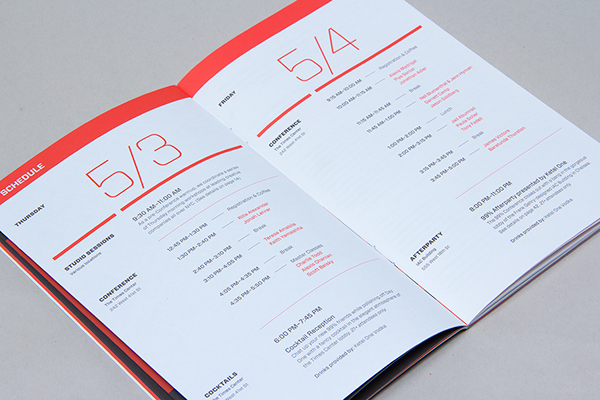 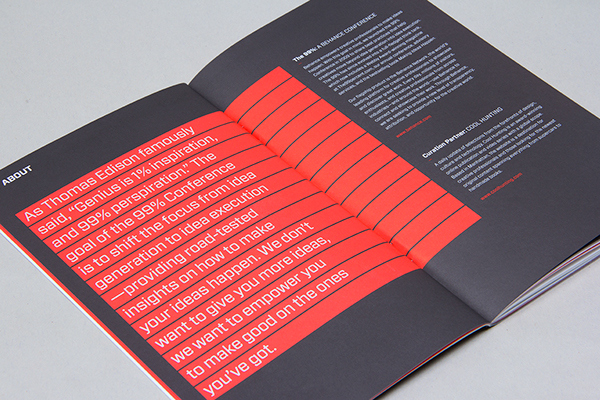 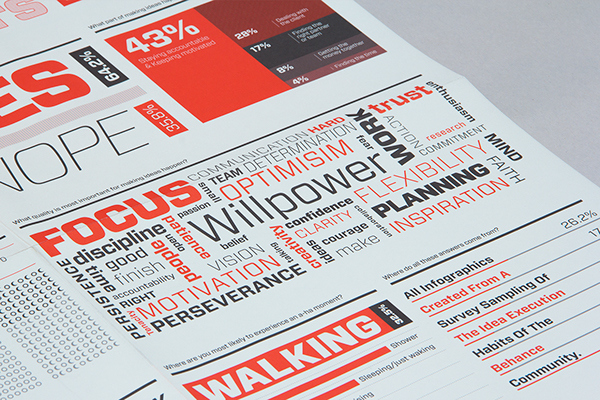 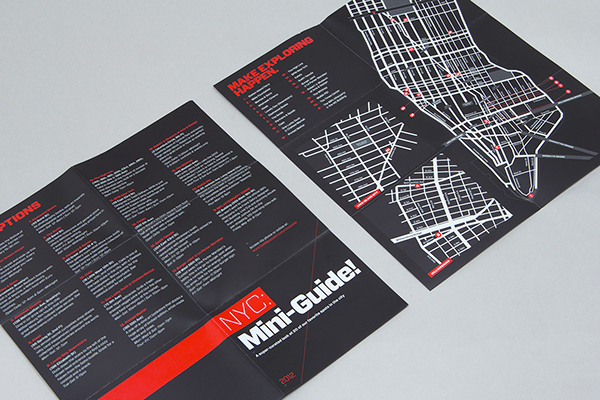 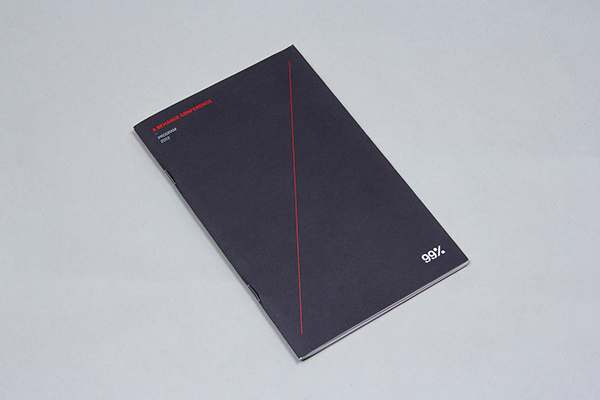 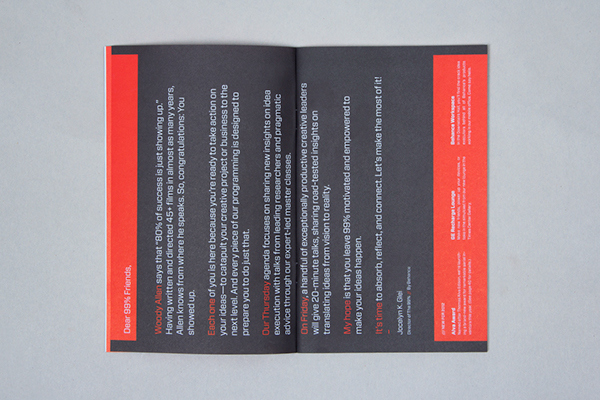 This year, we returned to a sleek 5" x 8" format for our 56-page conference brochure, and used a bold black and red color palette, along with this year's statement-making font: Forza. 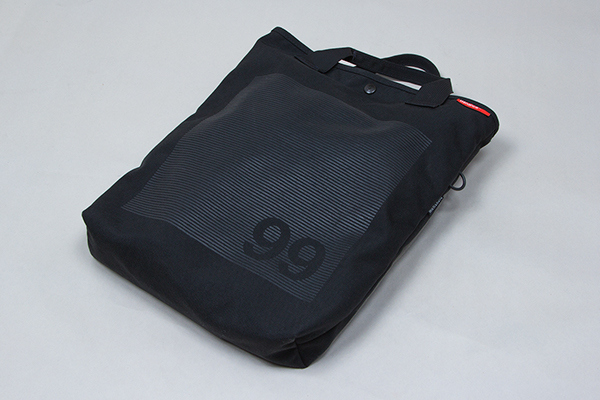 We're not ashamed to say the 99% Conference offers one of the best swag bags around. 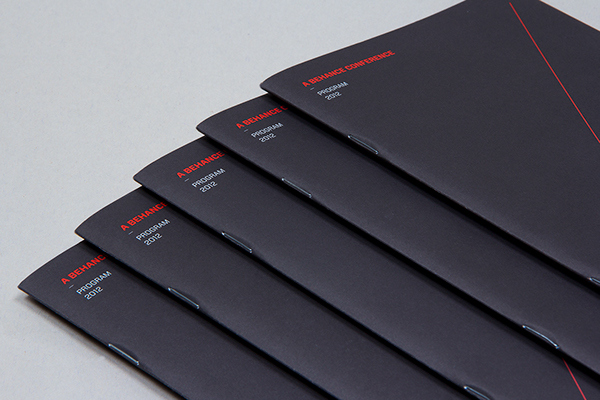 This year, we custom-designed our Conference tote with Rickshaw Bag works out of San Francisco, doing a subtle black-on-black screen print for the branding. 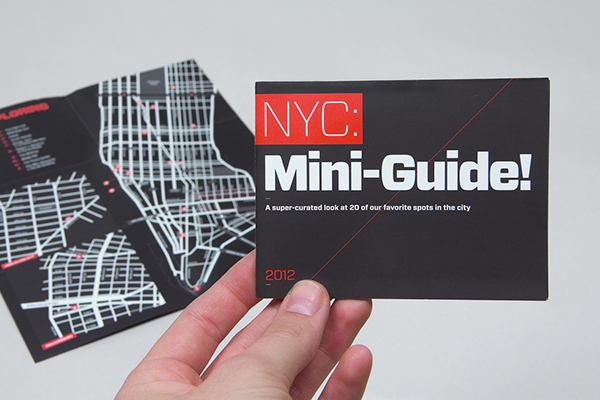 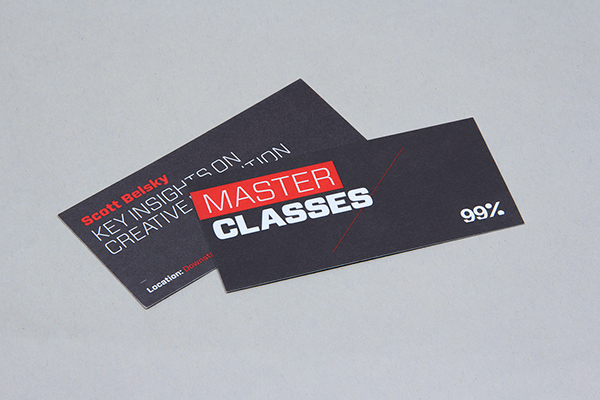 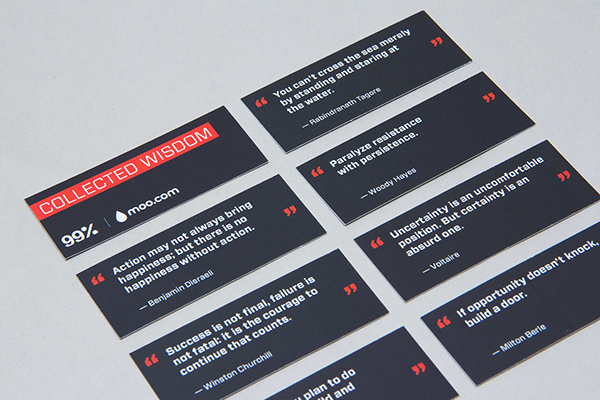 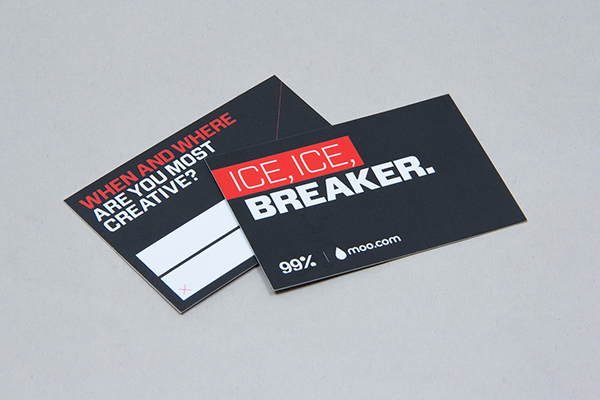 We also design custom tickets for our master classes & icebreakers, a series of action-inspiring quotes on mini-cards, a super-curated City Guide for NYC, and a sleek "making ideas happen" sticker. 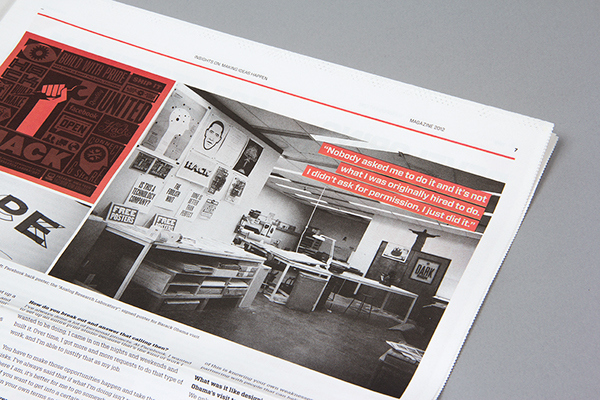 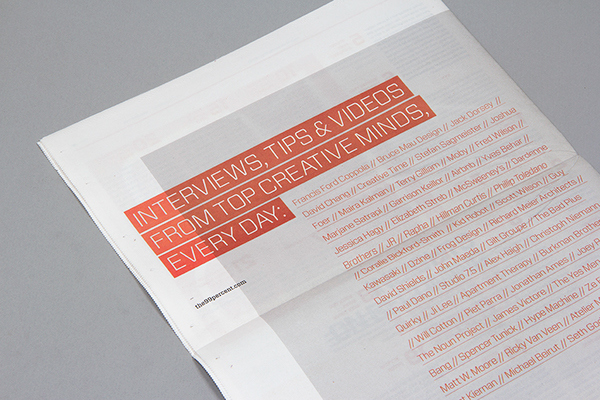 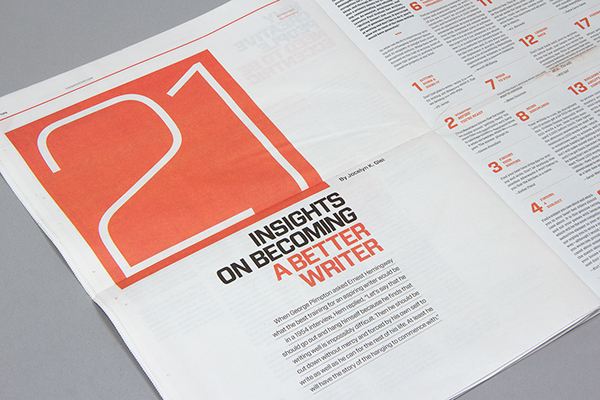 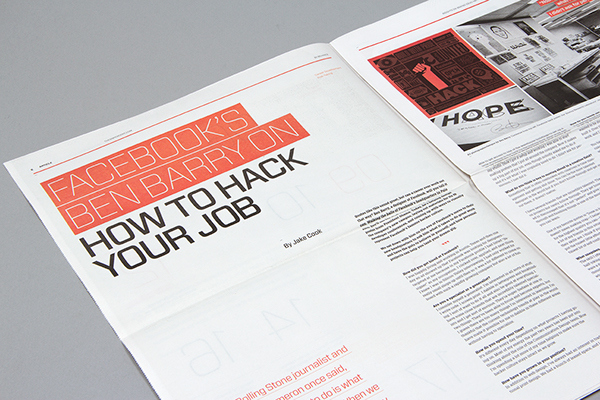 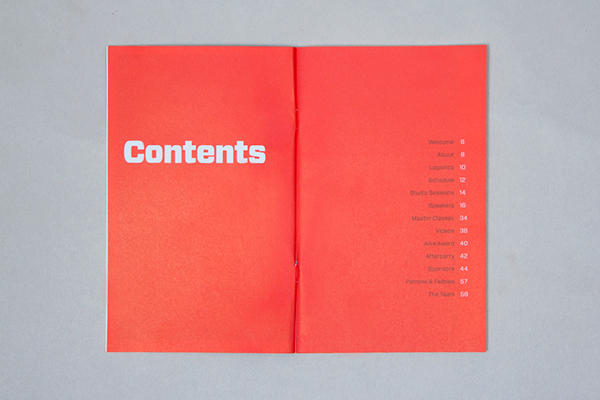 Every year, we curate the best interviews, articles, and tips from our research at Behance's 99% think tank to make a beautifully design newsprint magazine - which gets distributed at our annual 99% Conference. 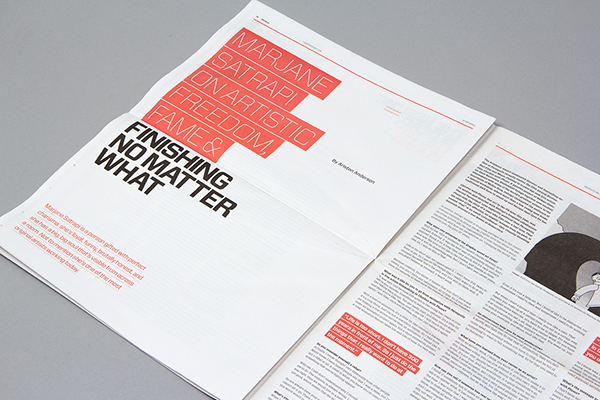 This year's selection includes interviews with Persepolis artist and filmmaker Marjane Satrapi and Facebook designer Ben Barry, as well as tips on Every year, we curate the best interviews, articles, and tips from our research at Behance's 99% think tank to make a beautifully design newsprint magazine - which gets distributed at our annual 99% Conference.